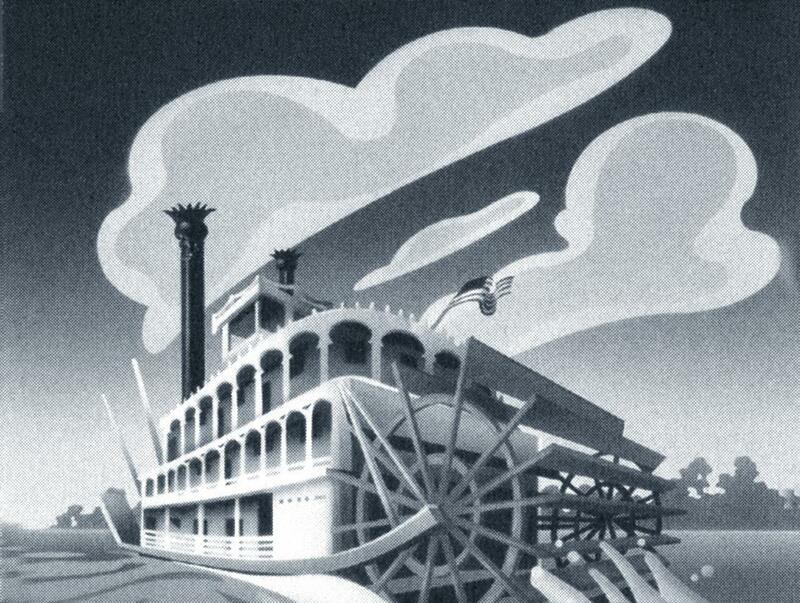 Old and young alike will delight in this imaginative game based on Ben Lucien Burman's classic Catfish Bend stories. 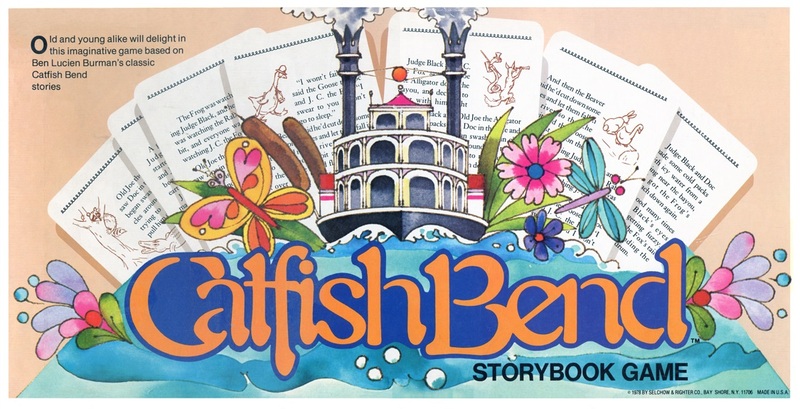 Doc, Judge Black, J.C. the Fox, Rabbit, Frog, Old Joe the Alligator, Beaver, Goose, City Fox, City Rat and Bloodhound ... all the Catfish Bend characters come to life in this unique reading game. 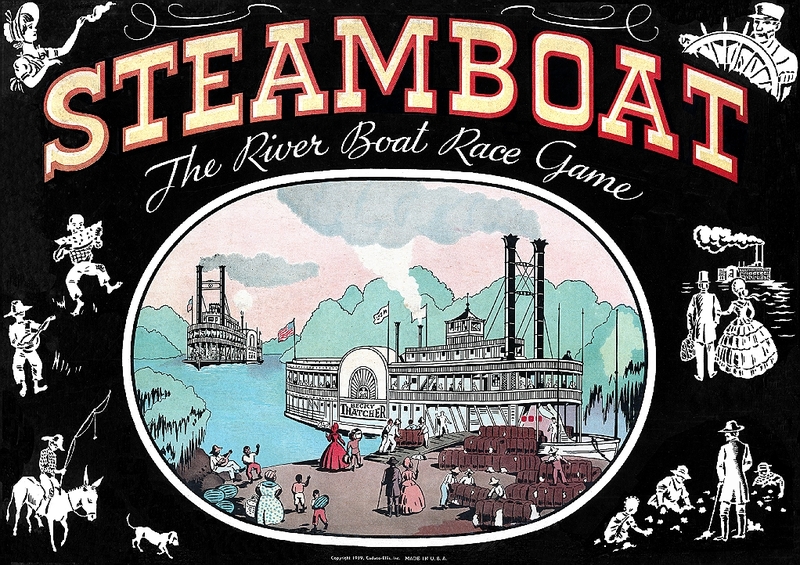 Players compete to collect the most characters after moving along the colorful Mississippi River. Nice whiz-bang tin box with hinged lid . 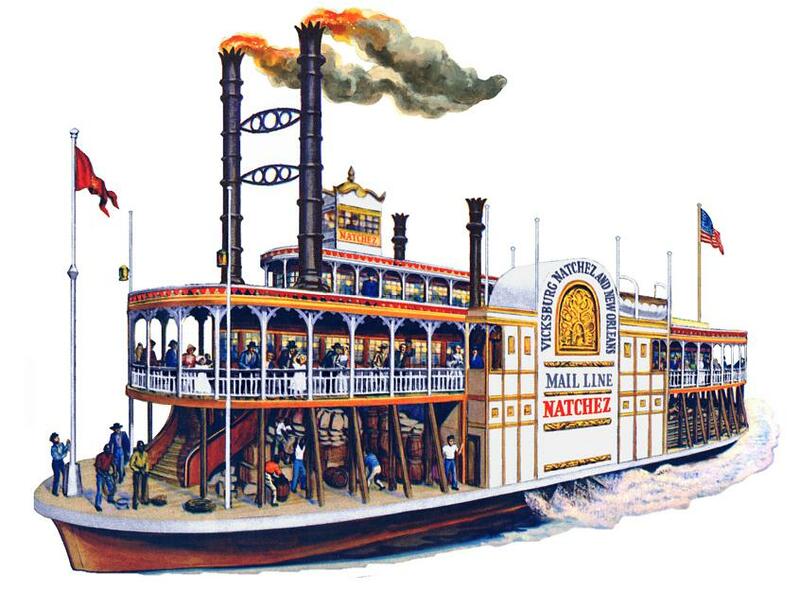 . .
Side with sidewheeler art in oval vignette measures 3 1/4 X 5 1/2 inches. 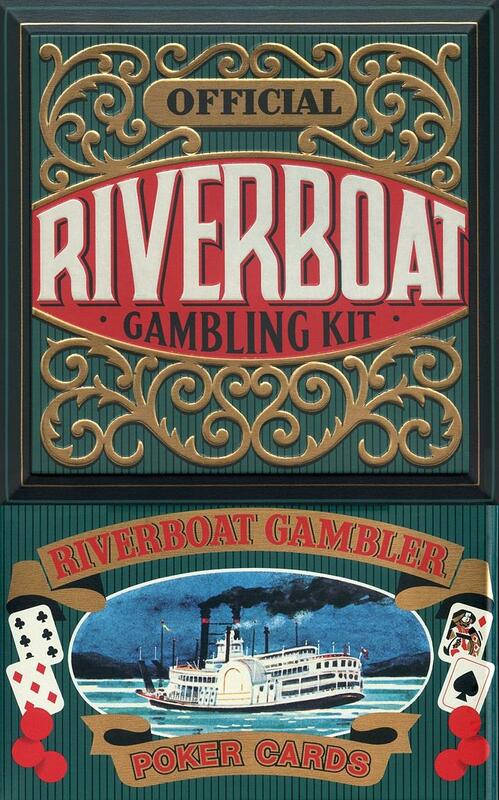 "Game box" lid for a poker card game box set measuring 11 x 16 inchesPen and ink wash illustration of a steamboat, 5 card Royal Flush (Hearts) and 3 poker chips. On the backside of the lid are instructions addressing the following: "AUTOMATIC COUNTING TRAYS" and "CHANCES OF BETTERING A HAND ON THE DRAW"
The artist's signature in the lower right hand corner of the lid graphic is difficult to read but looks could be of Dutch origin something like: "Mentze Van Eveleth." Not dated but possibly from the 40's or 50's. Attached colorful graphic that I cut out in Photoshop and put over white from a jig saw puzzle box. Ain't it perfectly enchanting though? 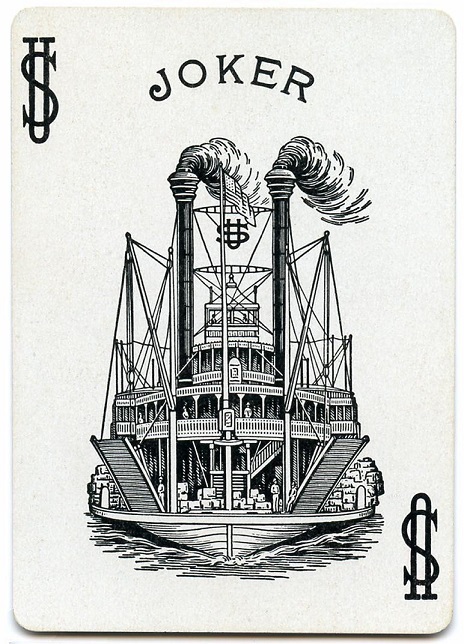 Scan of stylized steamboat graphic on the back of a playing card. 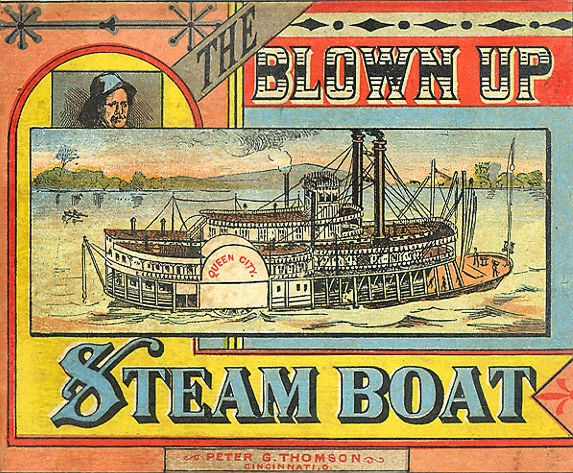 It is just a coincidence the cards are marked "Thomson." 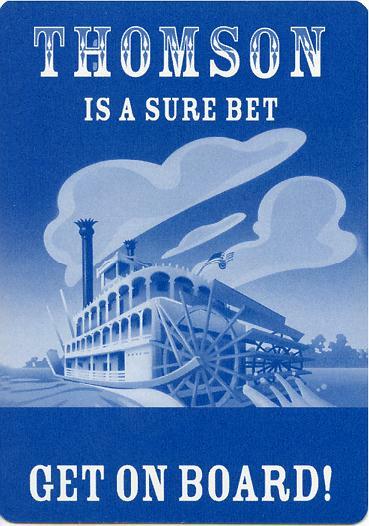 Dave Thomson does not own a casino. 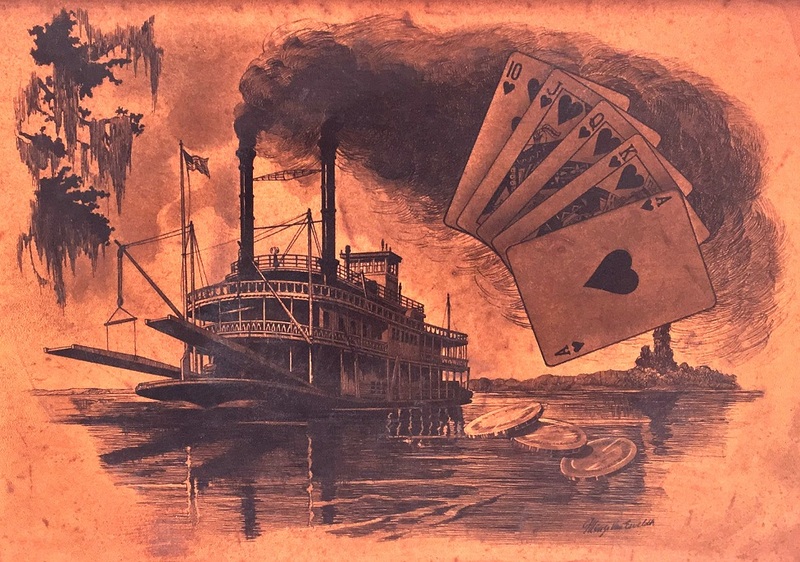 This steamboat "Joker" was from the US Playing Card Company's edition of the Steamboat 999 deck first introduced in 1883 by Russell, Morgan & Company. Hannibal, MO vintage automobile license plate "Topper" that I had chrome plated. After photographing the Topper outdoors on the patio under the striped awning I opened the file on the computer and added a photo I had taken of the Boyhood Home as it looks today and finessed it to fit where a vague bas relief impression of the Home had been on the Topper. 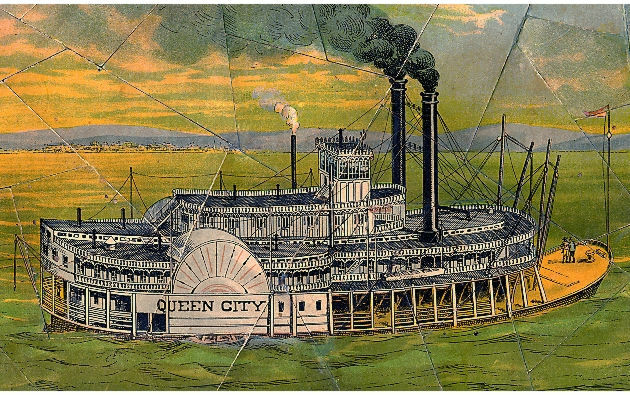 I also used the lettering from the topper in a composite of Jim Waddell standing in the foreground with the town of Hannibal in the distance on the west bank of the Mississippi River. 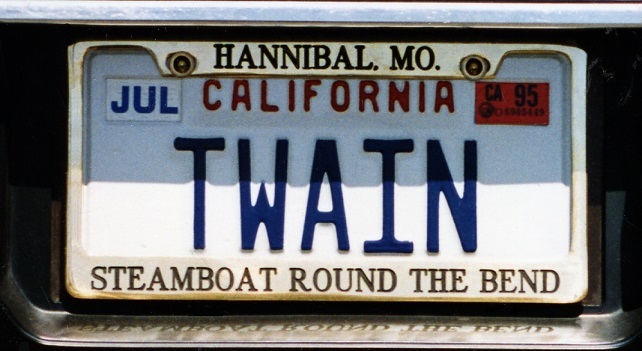 My personalized license plate and custom topper - Mid 1990's.